Cleaning mining equipment like trucks, scaffolding, drilling equipment and essential equipment that cannot be damaged but is covered in gunk, muck, shotcrete, oil, grease and grime is no easy task, but ARMEX makes it a little easier to handle. 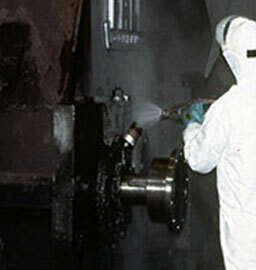 ARMEX decreases costs, because of the reduced need to replace parts damaged by abrasive blasting, it’s also safer for workers and is non-thermal sparking. Learn how to improve you cleaning process using ARMEX.